The following is a personality profile of Robert Jordan based on his work. 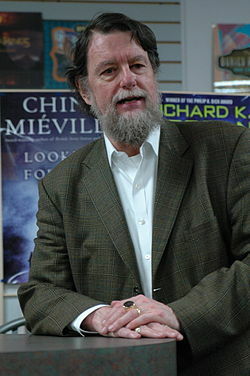 Robert Jordan is social, unpretentious and can be perceived as shortsighted. He is assertive, he tends to speak up and take charge of situations, and he is comfortable leading groups. He is content as well: he is content with his level of accomplishment and does not feel the need to set ambitious goals. But, Robert Jordan is also laid-back: he appreciates a relaxed pace in life.